How Eco Friendly is Spectrum? I’m really excited to tell you about my upcoming retreat to Turkey. I first visited the country last summer and couldn’t get enough of the food, the rich culture, the sunshine and the welcoming people. I am so pleased to be returning this JULY, and have planned something really special for you. Dalyan is an area of natural beauty with gorgeous coastlines, spectacular mountains and a conservation area full of wildlife. The protected loggerhead turtle’s nesting grounds are nearby, and we will hopefully see some of the turtles on one of our two boat trips! Our private villa will provide the perfect place to delve into our yoga practices with two classes daily in our onsite yoga shala, 6 acres of land to explore, and delicious traditional Turkish meals made from locally grown organic food. We will be staying in the tranquil Villa Cabrece situated on over 6 acres of land, with a beautiful view of the nearby mountains. With a large outdoor pool, dedicated yoga shala, and masseuses on hand, this is the ideal place to relax and unwind. You can sunbathe in one of the many sunloungers by the pool, or escape the heat in the Turkish style Salon, the shady Tree House, or a hammock under a tree and other shady retreats. There is also the Villa’s ‘Karma Kafe’ where you can enjoy drinks and snacks, a library and an outdoor cinema. All rooms surround the swimming pool and have mountain views front and/or back, with en suite facilities (toilet, sink, shower and hairdryer), plus wifi, air conditioning and fly screens on the windows. The single rooms open up directly onto the pool on the ground floor, whereas the twin/double rooms are mostly upstairs* and have a shared balcony with large French doors. *there is one/twin on the ground floor, opening up onto the courtyard surrounding the pool, and a further much larger twin/double detached from the main building but just steps away to the pool – glorious mountain views. The laid-back riverside town of Dalyan is a 15-20 minute walk away, where you can visit the markets and restaurants, or soak up the rich ancient history of the area. Riverboats connect Dalyan with İztuzu Beach to the south, home to protected loggerhead turtle nesting grounds. The meals at Villa Cabrece will be made using mostly home grown or locally purchased from market gardeners, organic village-style, cooked by local ladies preparing traditional Turkish food. The menus are drawn from Turkey’s rich culinary traditions and centuries-old village food preparation methods. We will dine alfresco, with views of the surrounding mountains, or the sky at night including glorious sunsets. We will eat breakfast at the Villa each morning, which includes a glass of fresh juice and cups of filter coffee or tea. A vegetarian 4 course dinner is included on 5 out of the 7 nights. Another dinner is included as part of a boat trip. On the other night off from eating at Villa Cabrece we will head to a local restaurant together. Lunch is not included, however you can find many yummy options in the local cafes and restaurants of Dalyan, or eat at Villa Cabrece – they have a snack/light lunch menu with wheat, gluten and dairy free options. You can help yourself to various teas, instant coffee and natural spring water throughout the holiday. Individual tabs are created as Villa Cabrece work on a trust system i.e. you can help yourself to soft drinks and some snacks which you can then write down accordingly (giving a more homely fee). Dietary requirements will be catered for, just make sure to let us know in advance. We will have daily dynamic morning yoga sessions before breakfast, and relaxing evening yoga sessions before dinner everyday, except when we have other activities planned. We will also be taking 2 boat trips (details below). 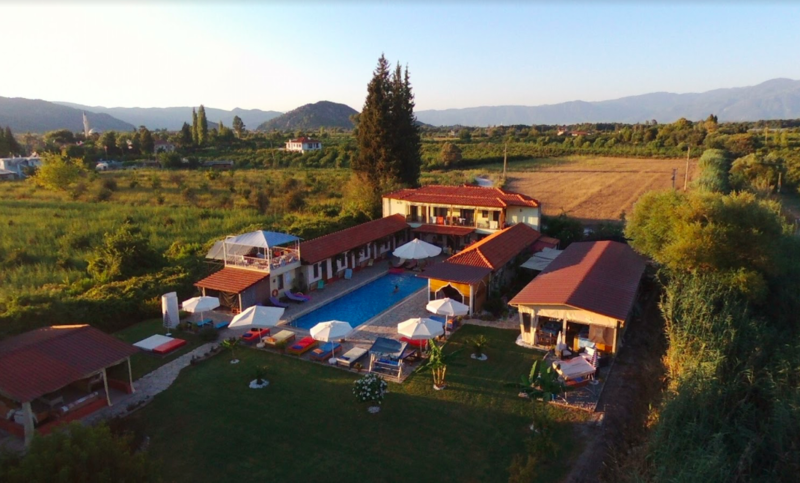 Besides this, your time is yours to enjoy how you wish; chilling by the pool, exploring Dalyan, visiting the turtle rehabilitation centre, or taking advantage of the additional activities offered by the Villa such as massages, Meridian Tapping type therapies and cookery lessons. 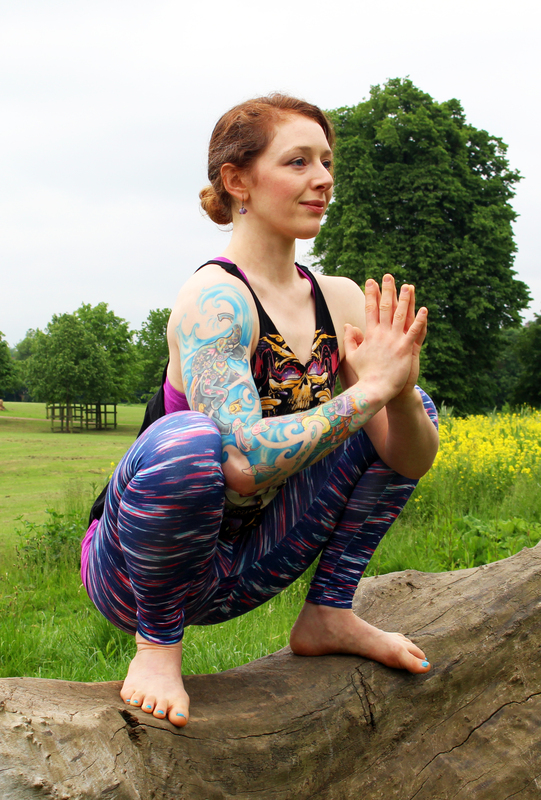 My teaching style is candid, alignment based, and lighthearted, inviting you to explore the limits both mental and physical that you place upon yourself. On most full days we will be practicing yoga twice daily. The morning classes are designed to get us up and moving, ready for the day ahead. Giving you space to play and express yourselves – expect to sweat and try new things. The evening classes by contrast will be much softer, allowing you to unwind and relax. We will be practicing in the shady outdoor yoga shala onsite at the Villa in front of the magnificent view of the surrounding mountains. Yoga mats and props are provided but feel free to bring your own in you prefer. Discover the beautiful Turquoise Coastline with towering mountains and forest covered hills, and experience secret coves and secluded swimming areas. A peaceful and relaxing day on a spacious boat with sunny or shaded spots for everyone. 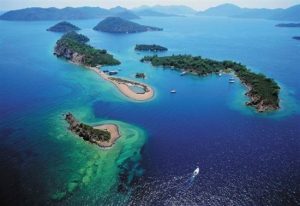 Throughout the day we will stop at many of the stunning bays. During each stop you will have the opportunity to swim in the crystal clear waters, or just sit back and enjoy the natural beauty of the surroundings. Lunch is served on the boat. This trip includes swimming, sunset BBQ dinner at Iztuzu beach, swimming in Candir Lake and Volkan’s secret candlelit hot springs. One of the highlights of this evening are the amazing stars seen from the middle of Koycegiz Lake and hopefully catching a glimpse of one of the endangered and protected loggerhead turtles. Dalyan has an outstanding beach, fascinating wildlife, and the majestic remains of an ancient Roman city, where you can see the Kings’ Tombs of Kaunos hewn into the cliffs. There are many restaurants and shops as well as a bustling market selling traditional turkish textiles, leather goods and mosaic glass. There are also newly built Hammam (Turkish Baths) with a sauna and steam room. The Dalyan delta is an area of immense natural beauty and has become one of Turkey’s most treasured natural conservation areas. Flanked by imposing mountains and pine-clad hills, the river spreads out into tributaries which are teeming with local wildlife. Dalyan is located on the river, between Koycegiz Lake with hot springs and natural mud baths, and delta, where the river meanders out to the Mediterranean. The river and tributaries lead out to the stunning sand bank, known as Ìztuzu Beach, home to the famous loggerhead turtles. To travel across to the beach by water taxi takes 40 minutes or 25 minutes by ‘dolmus’ (public mini-bus). 8 days and 7 nights staying at the peaceful Villa Cabrece. Freshly prepared breakfast & dinner* made with locally grown organic ingredients. Lunch and final dinner, where we will enjoy local cuisine away from the Villa. Additional activities such as massages, entry to the hammer (Turkish bath) etc.